When you’re first starting out with make-up, I know how hard it is to jump from using a make-up sponge to getting a brush to call your own. You’re not sure if you should but it looks like everyone around you has loads of make-up brushes and you’re not sure what the difference is between using a sponge vs a brush. 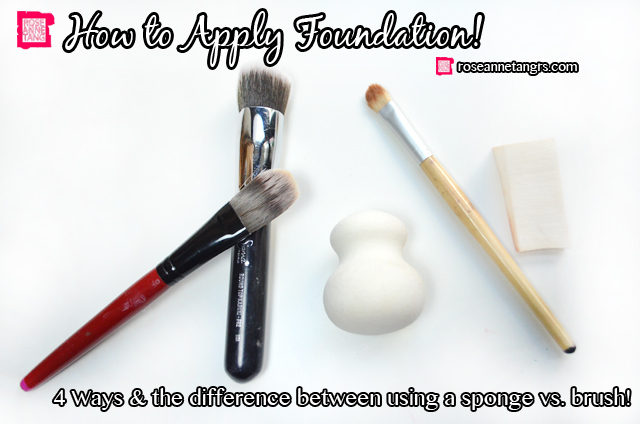 Not to fret though, here’s my guide on the four ways I usually apply my foundation and the pros and cons of using sponges vs. brushes. I know, you’re probably thinking – Roseanne, streaking? I thought you’re supposed to do the opposite of that! Well, you are except this time we’re blending all the streaks out with a sponge later. I do this with almost all my clients. It creates the most natural finish with great coverage. It doesn’t look cakey because you’re essentially controlling the amount of foundation you apply. 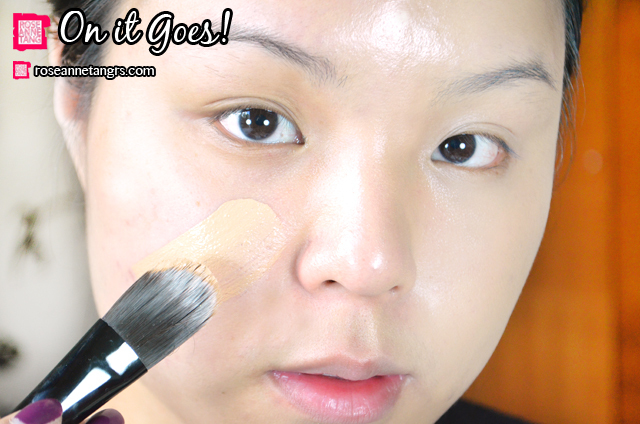 Simply use a concealer brush to apply the foundation in streaks onto the face, spaced out of course. 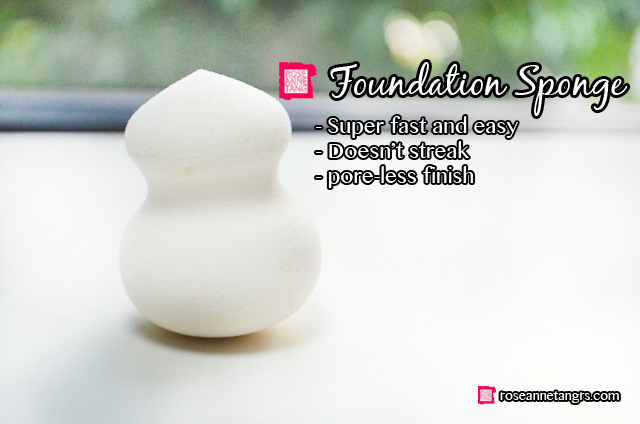 Then, take a wedge sponge and blend the foundation so that everything becomes flawless. This is great for people with already really good skin but want to look just a little bit more flawless. I do this with fashion models because they’re usually like 16 years old and still have what I call “baby skin”. Oh and you might want to watch my new video that summarises everything in this post! It’s really just using a sponge to apply your foundation. I don’t recommend using just any old sponge though. 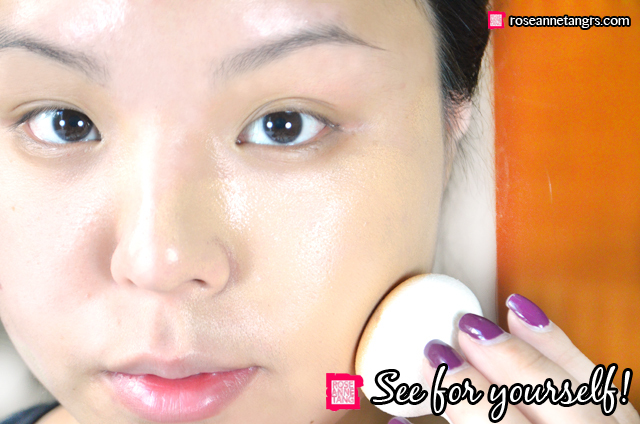 Get a good and high quality one – like the beauty blender or the new Shu Uemura lightbulb sponge. I’ve been using the lightbulb sponge and I absolutely love it. It’s much denser than the beauty blender and I don’t have to dampen it to use it. It creates the most perfect and flawless finish. The best way to apply foundation with a sponge is to take some foundation on the back of your hand, take some with the sponge and then dab it on like you’re “stippling it on” in short patting motions. You can then blend! The pros of using sponges over brushes is that it is fast and easy to use, there’s no streaking involved at all, super flawless finish in like half a second. The cons of using makeup sponges is that they eat up a whole lot of product, much more than brushes. If you have a super holy grail foundation that you can never get again, you probably want to use a brush or your fingers because there is more product wastage with sponges. They’re also really hard to clean. I love the Daiso sponge detergent for this job and I usually let it soak in it, clean the rest of my brushes and literally squeeze the foundation out to make them white again. 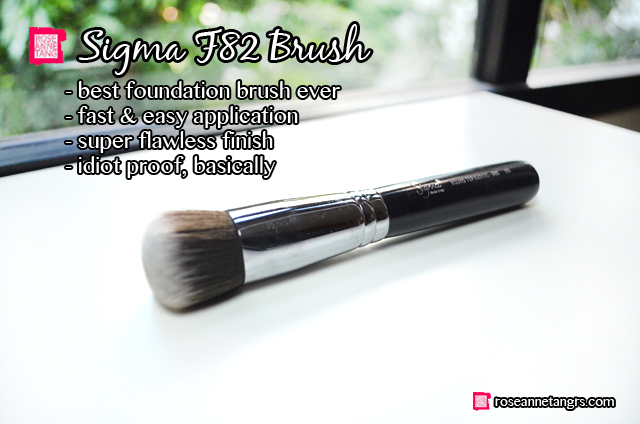 This is my ultimate favourite way to apply foundation – using this very specific brush – the Sigma F82 brush! I already did a review back then on it which you can check out here and I am still in love with it. A synthetic kabuki is the easiest and most wonderful way to apply your foundation because it’s has both brush and sponge qualities. The best hair for liquid and cream products is synthetic, meaning fake or faux hair, not from animals. The reason is because it soaks up less of the product and blending becomes much easier. The hair strands are made different. Animal hair brushes are best for powder products. 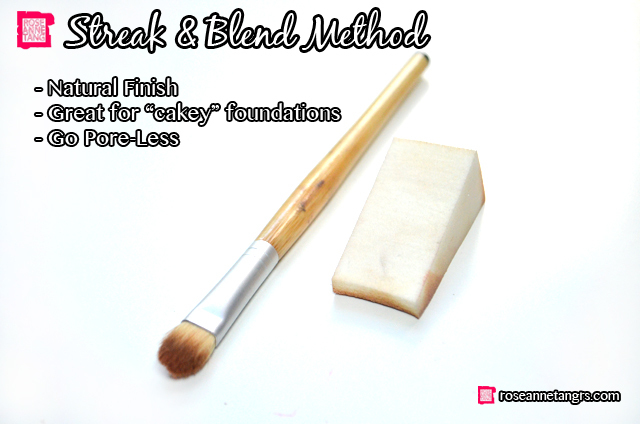 Using this brush is really as easy as taking some onto the brush and buffing the foundation in. It’s really a must-have. At least by google, a paddle brush is synonymous with a foundation brush. When you think foundation brush, you think paddle brush. It’s called a paddle brush because it looks like well..a paddle. It’s usually made of synthetic hair and is quite flat although some paddle brushes can be a little fluffier. 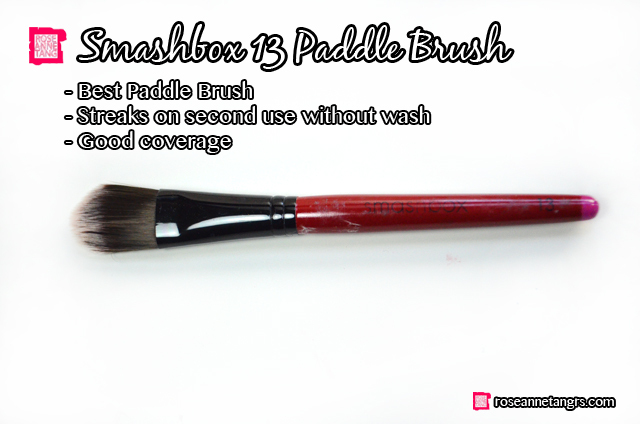 The one I like best (because it causes the least streaking) is the Smashbox 13 brush. This isn’t my favourite way to apply foundation, nor is it really fun at all. It takes the longest time, and is the most prone to streaking. The hairs tend to clump together after continued use so you have to be careful. Thankfully though, it really does give the best coverage (along with the F82, but this one gives you more) because it soaks very little of the foundation. To apply it, use long streaks and literally paint the foundation onto the face. You can see what kind of coverage you’re probably going to be getting from the looks of it. 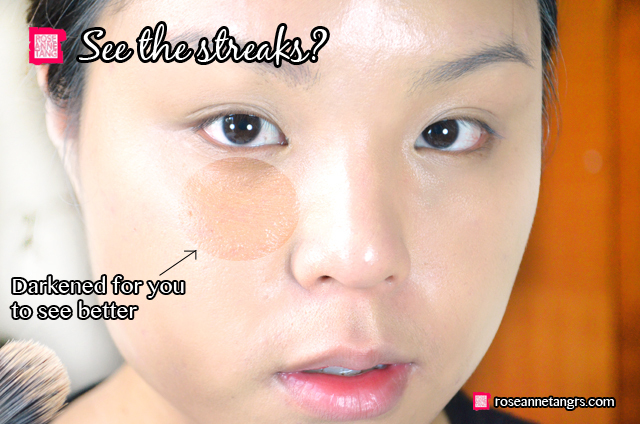 Keep in mind that you do have to be careful though because it does cause streaking on the second use. I’ve darkened the area so you can better see the streaks. Using this brush usually requires an additional step of me blending any streaks out with my own fingers or with a sponge. Let’s just say there are better ways to apply this foundation, but I reckon this brush does the best in the coverage department. Top 3 Perfumes that Mean the Most to Me! How To: DIY Ombre Lips Make-up Tutorial!